Now leaving the role of Vice-Provost, Linda Hogan has helped oversee the direction of the college in one of the most uncertain times in its history. Discussing the funding crisis in higher education, Hogan was clear: “Our government is not investing in higher education at the level it should." It’s 2011, and you’ve just been appointed Vice-Provost of the 76th best university in the world. 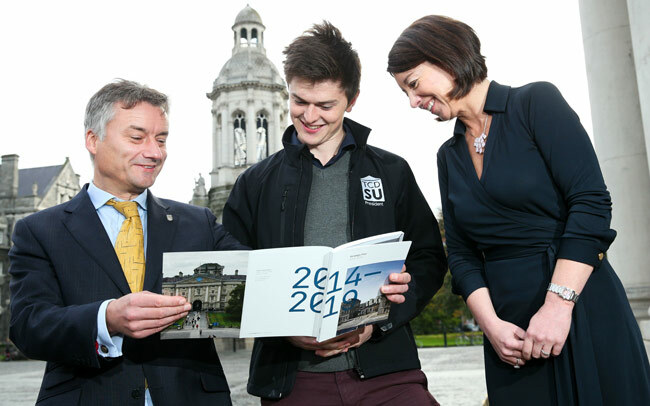 You have responsibility for the academic direction and ambition of a university that is over 500 years old. You are only the second woman to hold the job. The only snag, you soon realise, is that there’s no money. Within five years your university will have plummeted to 160th in the world, and the phrase “funding crisis”, once unthinkable, will have become so overused as to create only a sense of resignation, rather than panic. Any attempt to address this funding shortfall seemed to end in disaster. Fee rises, cuts to services and a protracted rebranding of Trinity’s logo all served to create an unprecedented gulf between the management and seemingly everyone else. Even the usually unflappable Fellows felt the need to send a letter to the Provost outlining their concerns over the rebranding process. Two planned protests within college captured the sense of impatience and frustration – management wasn’t listening to students or staff and only affirmative action would do. Caught between a funding crisis on one side and an angry mass of students and staff on the other, it’s hard not to imagine a less rewarding job. This is exactly the unenviable situation Prof Linda Hogan, formerly a professor of Ecumenics in Trinity’s Theology department, found herself in September 2011, as the serious impact of the 2008 financial crash was being felt properly in Irish higher education for the first time. But she has confidence in the resilience of Trinity’s students and staff to survive this funding crisis: “I think we’ll weather it but that takes a toll”. This underfunding isn’t just problematic for the universities themselves. Indeed, Hogan argues that a well-funded education system is integral for the country’s future: “Ireland’s development, really since the 1930s, has just been built on the education of its people. We have no natural resources, we have no wealth as a result of empire, or really all those things that other countries have”. And the people being let down most by this underfunding? A younger population that Hogan describes as full of “energy and excellence”. Presumably like many academics who have watched the sector diminish and shrink since 2011, Hogan is “not very optimistic” about the impact the report will have in the near future. Her main concern, she says, is “that we won’t be able to wait that long until we see a further decline in our reputation”. The mystery then is why this slow decline within the sector has gone unnoticed for so long. When anyone in the country could reel off a list of crises afflicting the country, whether in our health service or housing market, very few would even consider higher education to be an area in serious need of support. The strange thing is that students also seem unaware of the challenges facing their universities and colleges. Most students, at least before the publication of the Cassells report last Monday, might have been surprised to hear the words “funding crisis” associated with higher education. Hogan agrees that “the general public, and students too, probably don’t really understand how underfunded the university is”. The irony is, of course, that the symptoms are obvious. 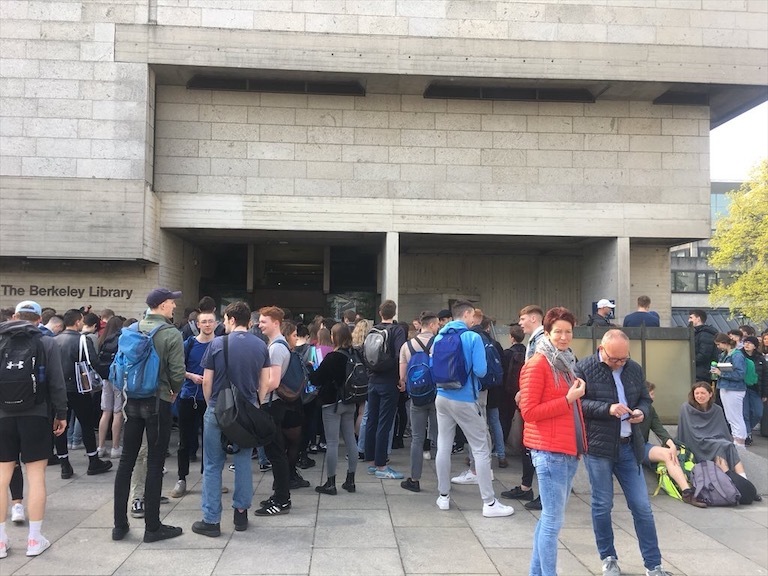 From buildings in need of refurbishment to a lack of staff to occupy them, Hogan says students are quick to notice the “manifestations of underfunding”, but often slow to realise the root cause – “our government is not investing in higher education at the level it should”. This will ultimately, and inevitably, cause frustrations. “They are rightly led to expect that they will have a quality education in an environment that is well funded”, Hogan says, “I think they’ve been led to expect that they should have that, so I would expect that they’ll get more and more frustrated and begin to voice it”. Yet if a decline in funding, a decline in prestige and a decline in rankings has all become the norm for the sector, this doesn’t mean that has been an equal decline in ambition. Take the Trinity Education Project. To call it an ambitious would be an understatement. Put simply, it wants to re-imagine and re-focus the way Trinity’s curriculum and teaching is done. 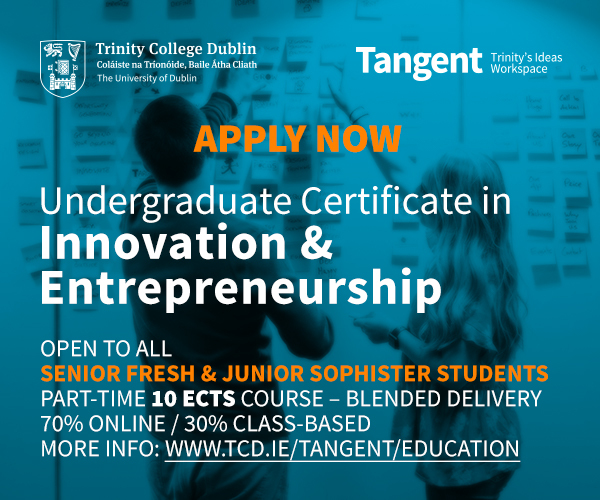 Having closely followed the project so far, it’s clear that trying to redefine the educational foundations in an institution as large and as complex as Trinity is no mean feat. So why is the project so significant? “We really have never paused to have a university-wide conversation about what our undergraduate education should be aiming for, and I think that’s what we’ve had over the last two years, and it’s been diverse, it’s been robust, and it’s been very exciting”. Apart from discovering all the “innovation hidden in the undergrowth, Hogan was also surprised to find a desire among staff for an “evolution of our curriculum”. Some might call it an evolution, others a rejuvenation. 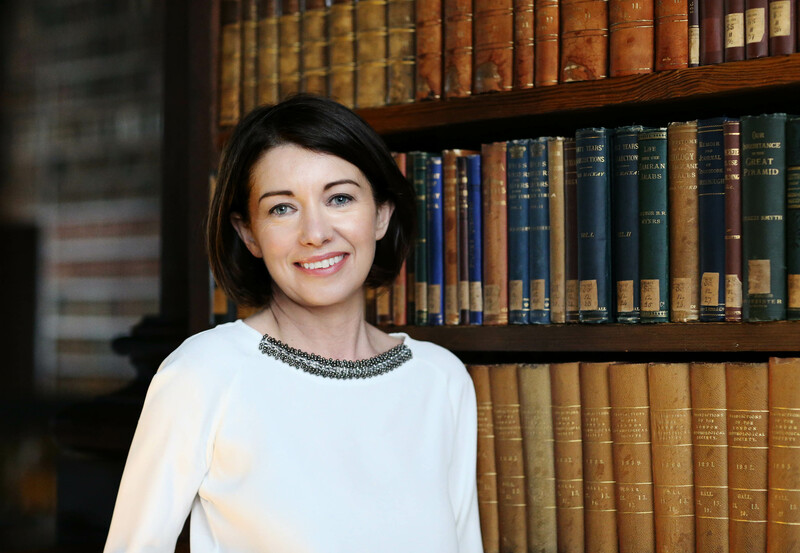 Maybe even a long-overdue facelift for an institution that, despite best its best intentions, has “rules and regulations really do cause a lot of distress for students”, according to Hogan. While the project may be radical and ambitious, it certainly involves sorting through more academic, bureaucratic and educational intricacies than most people could stomach. Before she got the job, was she as passionate about the minutiae of higher education? She laughs. “I was appointed on, I think, the 1st of September by Board in 2011, and fifteen minutes later came up into this office, opened the email and started to do it.” I took that as a no. Unfortunately the world of educational reform has also failed to arouse the interest of students, if the non-existent student turnout at the project’s numerous forums is anything to go by. Is this lack of engagement frustrating? “I was a little disappointed in the turnout and in the involvement of students, but on the other hand, I know that one shouldn’t conflate quality and quantity, so we had lots of really good contributions from students”, Hogan says. “Although I would say that the amount of engagement was fairly low, students were universally supportive of what we were doing, and that actually meant a lot”, she adds. I suggest to Hogan that this lack of engagement is partly because most current students have no vested interest in changes to the curriculum, seeing as the the major changes will not begin to take effect until 2018/19. Yet, according to Hogan, students might see the cultural changes before then. She tells me she’s “confident” that staff will welcome the opportunity to start teaching differently: “People will start doing that without the new programmes being implemented. And I think you can see that already, the number of people coming to fora on assessment, and wanting to know how they can be set up to do certain things they’ve always planned to do, but thought they weren’t allowed to”. If all goes to plan, it seems, students might start to feel the effects all this “innovation” a lot sooner than expected. 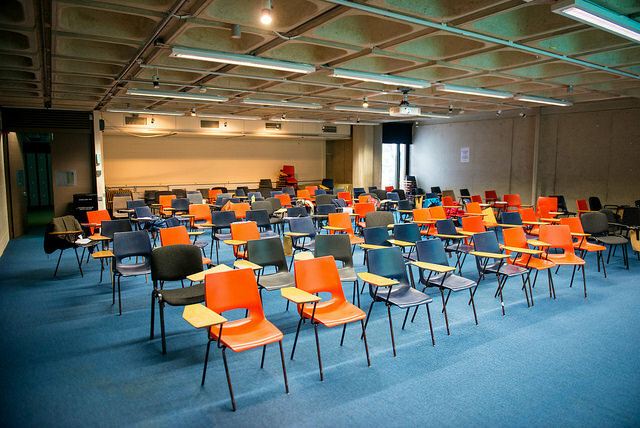 Just days after I speak to the Vice-Provost, there is a bit of a furore online over the introduction of Christmas exams for 2018/19, after a proposal for a new academic year structure is approved at University Council. For students overloaded with exams come May, the decision was welcomed. By others, it seemed as if this major restructuring had come out of the blue. When I raise the potential for student concerns, Hogan notes that the process leading to the decision has been going on for over a year. She emphasises that the changes to the academic year structure are part of the wider process: “I do think that what we really want to make sure is that we don’t just have this discussion about exams or semesterisation without reference to what we’re hoping to achieve by it, because it makes no sense if you don’t get behind the context”. If students are annoyed, or have specific concerns, “tweaks” can happen. Context, of course, is everything. The changes, Hogan tells me, are about ending the over-reliance on exams to test students and about trying to “unwind some of the habits that students have learned through the Leaving Cert system”. Hogan’s experience with tenure-track was a good example the mixed reactions people can have to change. 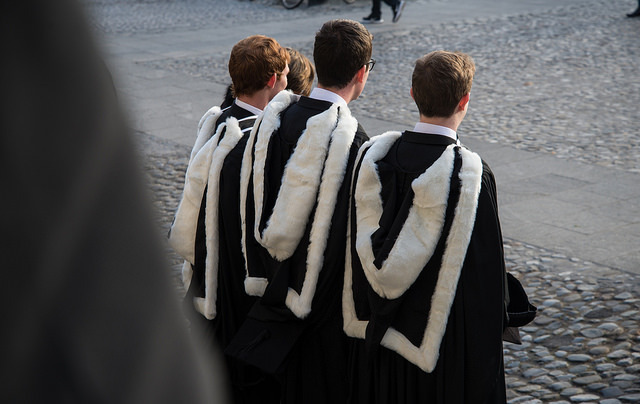 After The University Times revealed College’s plan to implement a tenure-track employment scheme for entry-level academics, the proposal received widespread criticism, including from Trinity graduate and then-incoming Vice-Chancellor of Oxford, Louise Richardson. Hogan admits the introduction of tenure-track was a “risk”. She also agrees with the principle behind some of the criticism of the employment model — “I would agree that to introduce a contract without cultural change, or without the supports to promote culture change, would be the wrong thing to do”. But this isn’t what happened with tenure-track: “I think what you’ll see is what we’ve introduced with the Ussher system, which is our first instance of the tenure-track, is that we not only have a tenure-track contract, but we also have a very enhanced induction, a fully functional, properly-supported mentoring scheme, formal supports for heads of school to drive that in their schools and departments and a monitoring process to ensure that there are no negative effects for it”. The tenure-track model has steadily increased in popularity across European universities. Hogan was not, however, simply following the latest vogue when she brought the proposal to University Council. The interest in tenure-track, she tells me, came from her experience of chairing the Junior Progressions Committee within Trinity. “The system we had, where we brought people into the university who had been very highly trained in their specialism but then given no other support for the diverse elements of the academic role, really was allowing people to either sink or swim, and I didn’t think that was right, for either those who had to fight to swim or those that were sinking”, Hogan says. 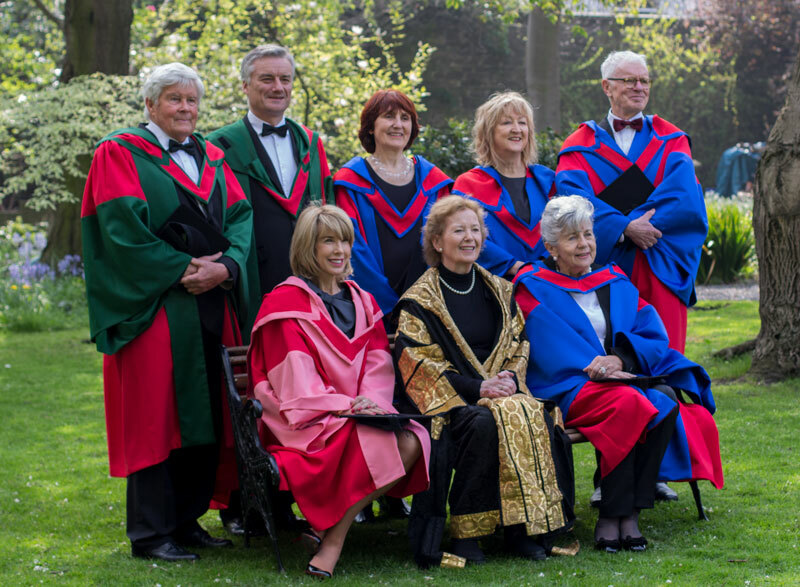 The tenure-track criticism fed into the wider debate about gender equality in Irish universities, and the poor representation of women at senior levels within higher education. Unsurprisingly, this is an area Hogan is passionate about, emphasising the importance for “students, both male and female, to see both men and women, represented at senior levels”. She also points to something that the Higher Education Authority reports on gender inequality miss – the “very many women research leaders we have across the university”. While the problem has been well diagnosed in recent years, there hasn’t been much consensus on a solution. For Hogan, quotas are only part of the answer. However, she is pragmatic: “In the absence of a real cultural shift, in terms of proper career development, strong mentoring, transparency in terms of opportunities, I think that those are the things that ultimately make all the difference in large organisations”. This idea of a cultural shift is central to any idea of reform, whether in employment practices or the way we teach. And it is for these cultural shifts that Hogan might best be remembered. 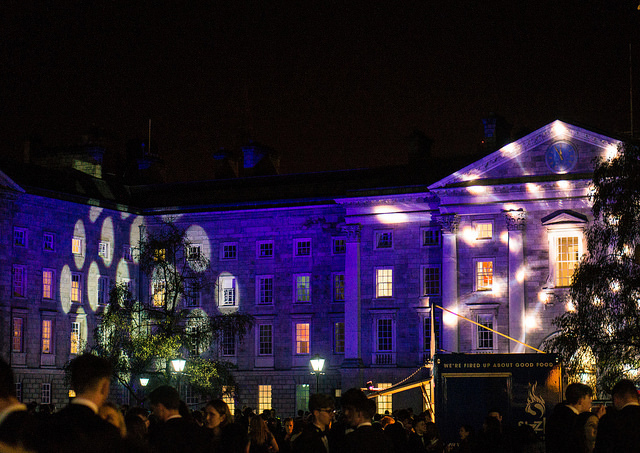 To most students, there isn’t much in the way of a renaissance happening in Trinity. The buildings haven’t changed much (except to show some signs of wear and tear), and the tourists still visit in the similar numbers they did in 2011. Most courses are taught in roughly the same way. But despite this Trinity is, indisputably, moving into a new era. 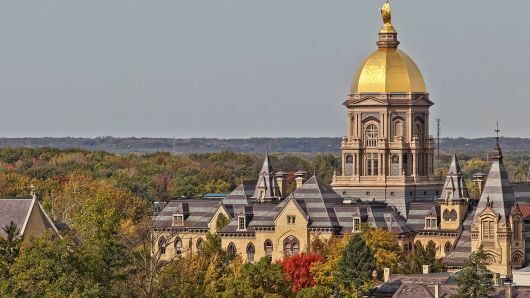 Hogan cringes when I mention any idea of legacy, but whether through tenure-track or the Trinity Education Project, Hogan will leave a stamp on the college for years to come – not that she would say so herself. “As an officer of the university, you take on the role, and your task is, in a way, to leave the place in as good or better state than you took it over.” Trinity, she says, “is very strong and resilient, and I think every officer just wants to play their part in that”. It’s a difficult part to play, and no one would envy Hogan’s successor, Prof Chris Morash, having to follow someone who has made such a role their own for the last five years.